Guinea-Bissau is one of Africa’s poorest countries and has been wracked by political instability. It is due to hold elections in 2013 after another coup, but opposition to reform in the army, politicians’ manipulation of the military and the armed forces’ interference in politics could jeopardise political stability. The military has a tradition of staging coups, especially as it does not want to go under civilian control. The head of the armed forces, General Antonio Indjai, seized power in April 2012 before handing over power to a transitional civilian government. The country’s military is small and lightly equipped. It has been scaled back, being reduced from around 7 000 to approximately 3 500 – 4 000. The serviceability of much of the military’s equipment is questionable – the air force, for instance, is ineffective, as it has nearly no serviceable aircraft. Foreign countries, such as Angola and the European Union, have attempted to reform Guinea-Bissau’s military over the last several years but have pulled out due to political instability and military interference in government. The military, as well as politicians, are heavily involved in the drug trade between South America and Europe and this has contributed to political instability. Control of the armed forces is crucial to control of drug trafficking income. External	 •	Guinea Bissau is currently facing no external military threat. Internal	 •	Guinea Bissau is one of the poorest countries in West Africa and lacks sufficient resources and infrastructure to insure a stable security environment. Since gaining independence in 1974, the country has been plagued by coups, political assassinations, and a civil war. 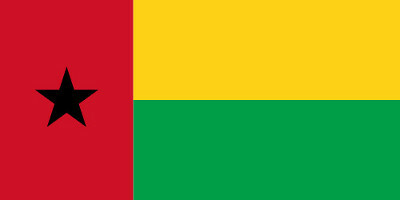 Regional •	Guinea Bissau’s neighbours are considered to be politically and military stable. • Political instability has encouraged drug trafficking and Guinea-Bissau is one of the key transhipment points in West Africa for drugs heading from South America to Europe. Political •	President Malam Bacai Sanha died from natural causes in January 2012. A transitional government is in place following a coup d’état during April 2012, that interrupted elections to replace him. Economic	 •	Guinea Bissau’s economy mainly depends on agriculture and fishing and the country ranks sixth in cashew production internationally. Poverty and drug money is a threat to political stability.